Golden Cocoa is hot chocolate’s wiser older sister. 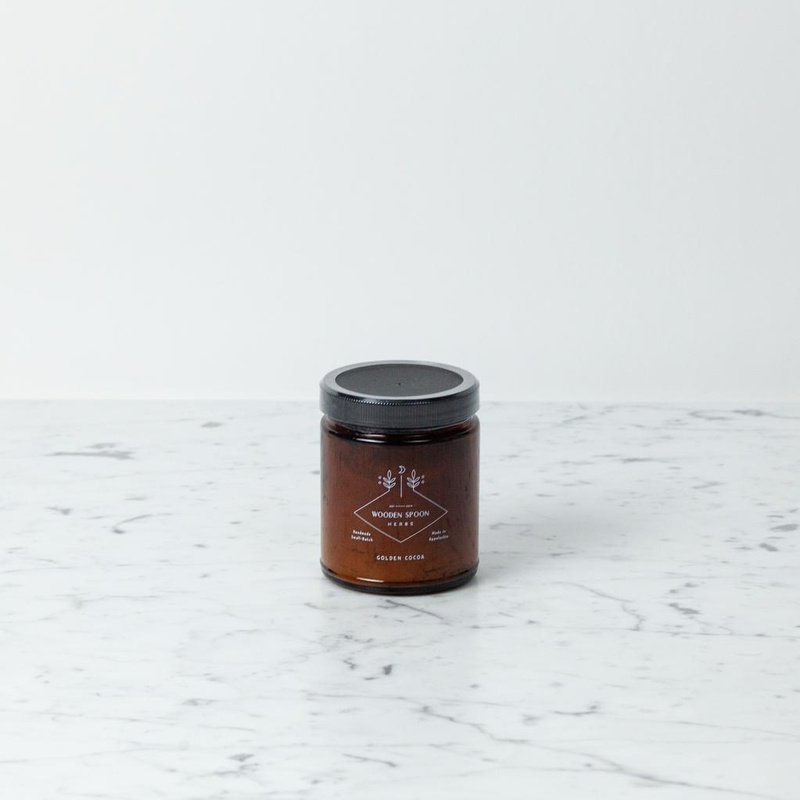 Inspired by the Ayurvedic classic “golden milk,” Golden Cocoa swirls together antioxidant-rich raw cacao, anti-inflammatory turmeric, and stress-reducing ashwagandha. Not only do these herbs taste great, but taken daily may help reduce overall inflammation and the effects of stress on the body. Now you have an excuse to have a cup of cocoa before breakfast, and the best part is no one will taste the difference. * Turmeric is a root native to tropical areas that promotes healthy inflammation levels all over the body. Ashwagandha is a calming adaptogen, meaning when taken over time it can calm the endocrine and nervous systems, and help repair any damaged stress has caused. Ours comes from an organic farm in Oregon, and, when available, our local farmers. 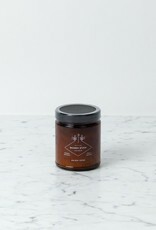 Ingredients: fair trade raw cacao*, coconut cream*, turmeric*, ashwagandha*, black pepper*, cinnamon* (*certified organic) To use: Whisk 1 Tablespoon into 8 ounces of warm milk or hot water. Sweeten to taste. 9 ounce jar. *These statements have not been evaluated by the FDA. This product does not intend to treat, diagnose, cure, or prevent any disease. If you’re pregnant, breastfeeding, or on any medications, please consult with a qualified health professional before beginning any new herbal products.